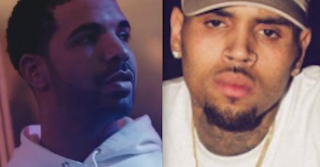 Rhymes With Snitch | Celebrity and Entertainment News | : Chris Brown and Drake Call a Truce? Chris Brown and Drake Call a Truce? Six years ago rapper Drake and R&B singer Chris Brown got into a knock down drag out fist fight in New York over Rihanna and have been mortal enemies ever since [click here if you missed that]. Have Chris and Drake finally buried the hatchet...? Last night CB and Drake began following each other on Instagram. Good for them! Too much beef is bad for the colon lololol!!!!! !